Dependability is fulfilling what I consented to do, even if it means unexpected sacrifice. 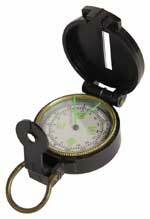 Have you ever used a compass to help you find your way? No matter where it is, a compass always points north. You can depend on it! You can be dependable like a compass by keeping your promises, even when it is hard. If you change your mind, forget what you promised, or back out of an agreement when things get tough, others will find it hard to trust you in the future. Keep your commitments so others can count on you as a dependable student, family member, and friend. Bridges come in many shapes and sizes, but they must all provide safe and reliable passage. Remind yourself to be dependable by building your own bridge. Find or draw pictures of various bridges you have seen. Then build one using craft sticks, foam cups, string, wire, or other supplies. One type of bridge is a suspension bridge. The Golden Gate Bridge in San Francisco uses cable 3 feet in diameter! However, a cable’s strength lies in the combination of many smaller wires. In fact, the cables that support the George Washington Bridge in New York City are made of 26,474 individual steel wires! In the same way, people build strength of character by doing the right thing time and time again. Every small decision is important to maintaining integrity. Bridges are engineered to expand with rising temperatures and flex under heavy loads. 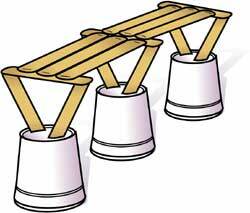 Properly designed bridges absorb the pressure by bending rather than breaking. Likewise, a dependable person adjusts to problems and pressures rather than quitting or giving up. How can you be a dependable student? Why is it important for you to keep your promises?